Naughty or Nice - DIY Kids Holiday Party Game! Prizes - at least consolation and top prizes for this game! 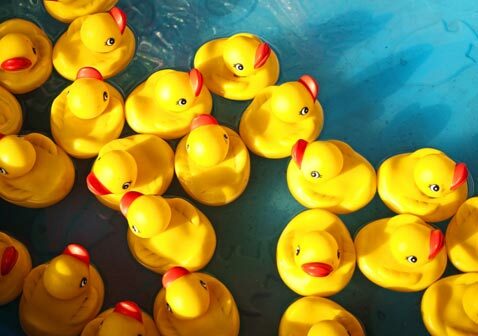 Before the Christmas carnival (or holiday party), set up the game as shown above. 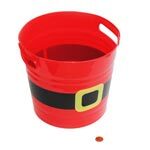 Note: place the Santa Buckets about 6 - 8 inches apart to make this game challenging. It is optional, but we used a white tablecloth under the game to show a "stand behind line" for kids. We have found kids are tempted to get closer to this game in thier excitement to win! Also, if you have different aged children playing, be sure to have an additional line about 1 1/2 - 2 feet further back for the older kids to make the game more fair for the little ones playing! 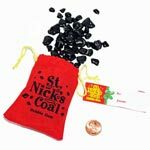 Children are given 4 "lumps of coal" toys to toss into the Santa Themed Buckets. They must start with the closest bucket first and try to get the coal to stay inside each bucket in order. If they miss a bucket, they can try for that bucket again as each bucket gets harder to hit! 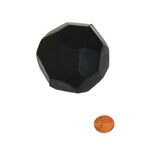 Note: This game is much harder than it looks...the uneven "lumps of coal" seem to have an unpredictable bounce and sometimes will land in the bucket at first, but bounce out right away! Naughty or Nice.. Game Prizes for All and Game Supplies Too!! 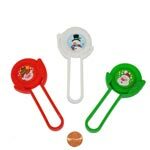 Click Below for More Holiday Games! 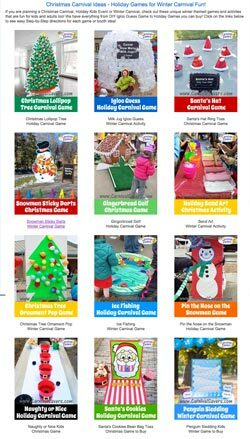 Click to see more than 12 Fun Holiday Carnival Games and Activities for any Winter or Christmas Carnival or Party! 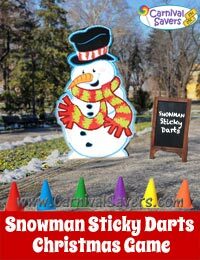 Check out this fun and easy Winter Game for Kids - Snowman Sticky Darts!! 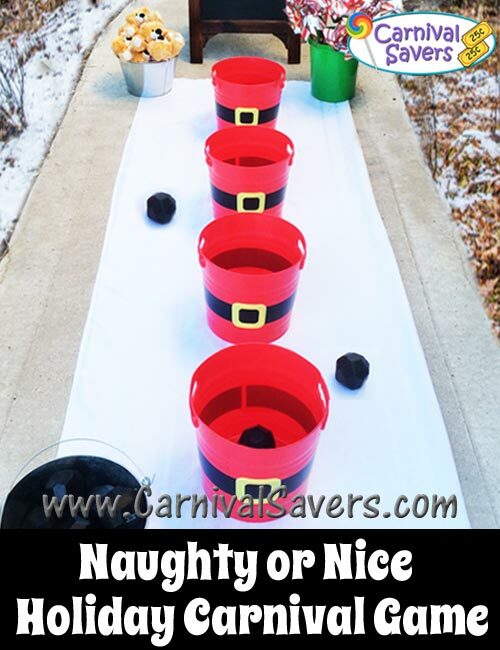 This DIY Holday or Christmas party game is easy to store for years to come and the Santa Buckets can be used for other supplies before the Christmas Party!